Adrianne Lenker has been writing songs since she was ten years old. Her “back story” has been well documented in various interviews and profiles for Big Thief over the last three years. Despite, or more likely because of the constant touring and studio work, the last few years have been some of the most prolific for Lenker as a writer. Songs pop out at soundcheck. They pop out on late night drives between cities. They pop out in green rooms, hotel stairwells, gardens, and kitchens around the world. In the hands of Lenker songwriting is not an old dead craft. It is alive. It is vital. With little regard for standard album cycle practice or the idea of resting at all, Lenker set out to make a document. Songs can be slippery and following a 2+ years on the road with Big Thief, Lenker felt a growing need to document this particular time in her life in an intimate, immediate way. The result is her new album, abysskiss. The Big Thief singer Adrianne Lenker excels by tapping into the core of the human soul in the most tender, gentle and vivid way possible and her new solo LP, absysskiss, is no exception. Through just vocals, acoustic guitar and intermittent keyboards, Lenker conjures up something magical and weighty with so few elements. The 10 songs that make up abysskiss toggle from intoxicating love to somber grief and it spans many feelings in between. Lenker uses nature metaphors to tackle heavy subject matters like mortality, love, birth, friendship and youth, but she doesn’t hide behind these metaphors. She uses them to boil down complex topics into something familiar, immediate and sentimental. The album’s two singles, “Cradle” and “Symbol,” are highlights with the candid, understated beauty of the former and the haunting, hypnotic mysticism of the latter. Fans of Big Thief should latch on to this record as Lenker’s evocative storytelling, oneness with nature, unique vocal tones and her ability to arouse grandeur from the mundane are all apparent on this record. Lenker has proved herself to be one of the most captivating songwriters, not just in indie-folk, but of the present day. Providing newfound comfort and warm familiarity, abysskiss is a record that will quickly find its way into your heart and slowly caress your soul. The rise of Big Thief has been a charmingly old-fashioned one, built on hard work, word of mouth and wonderful music. The band have become one of the alternative-scenes most loved acts, and done it entirely on their own terms. Continuing that theme of doing things your own way, the band’s vocalist Adrianne Lenker has this week announced, not a new Big Thief record, instead a return to her solo career. Adrianne is set to release “Abysskiss”, the follow-up to 2014’s, Hours Were The Birds, in October and has shared the first taste of it, Cradle. While much of Adrianne’s work has dealt with her youth, her past if you will, for Abysskiss, she has set out to document the here and now. Much of this record was written on the road and in studios as Adrianne lived the musicians life. It serves as an intimate and immediate documentation of where both her songwriting and life currently stand, in her own words, an attempt to, “archive the songs in their original forms”.Listening to Cradle, you feel like you’re almost listening to a demo, a song still having the life breathed into it as it’s performed; it’s not lo-fi per se, in fact it sounds lush and perfectly unadorned, allowing her unmistakable vocal and gentle backing plenty of room to breath. Lyrically, it seems to dance with half-finished images; there’s an underlying feeling of discontent, yet it seems to be more with an inability to accept the potential for happiness than any underlying sadness. As a snapshot of a songwriter at the peak of their powers, Cradle suggests Adrianne Lenker remains one of music’s most vital voices. Performed and written by Adrianne Lenker “Abysskiss” via Saddle Creek Records. We are happy to share some nice news with you. Adrianne Lenker of Big Thief has made a stunning new solo album and Saddle Creek Reords are proud to be releasing it. A songwriter who has undoubtedly made an impact on many lives, Lenker set out to make an intimate and immediate document of a particular time in her life after 2 years on the road with Big Thief. ‘Abysskiss’ is the result it is out on October 5th. 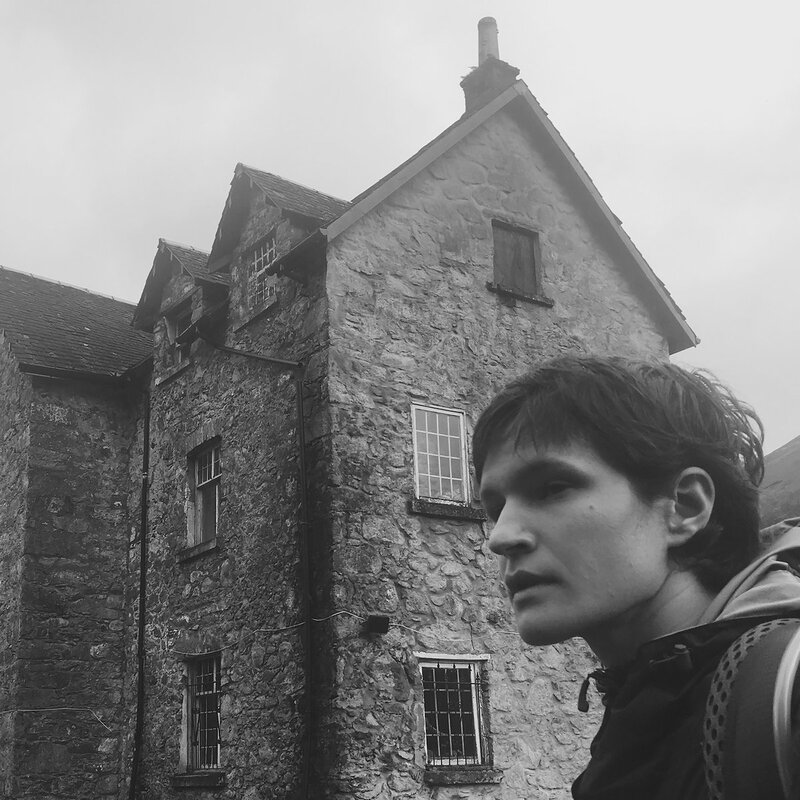 Adrianne Lenker, is the lead singer of Brooklyn based rock band Big Thief, To coincide with the news, Lenker has also shared the single from the forthcoming album, it is called ‘Cradle’. “I want to archive these songs in their original forms every few years,” Lenker said in a statement.